If you’ve got backed up toilets and other issues with your plumbing, then you may have a clogged sewer line. It’s important to know how to clean a sewer line properly in order to be safe. Click here to learn how to clean a sewer line and get your pipes working again. Nobody likes clogged pipes, and if yours have slowed to a dribble, you want to address the problem as quickly as possible. But pipework, particularly when it’s relatively minor, can get costly when you call in the pros. Well, why not fix it yourself? We put together a quick list on how to clean a sewer line so you can quickly DIY your way to unclogged pipes. It’s actually easier than you think. First, you’ll need a pipe wrench to loosen the cap on the main drain pipe. You won’t open it without one. Make sure to just loosen the cap. Don’t completely remove it – you’ll regret being hasty. You loosened the cap, now slowly open it with your hands. This is where it pays to have gloves because the “buildup” will spill out in all directions. You don’t want that on your unprotected hands. The auger cable, commonly known as a plumbing snake, is designed to handle basic maintenance and intermediate clogs. It’s easy to use and you will need one for this project. 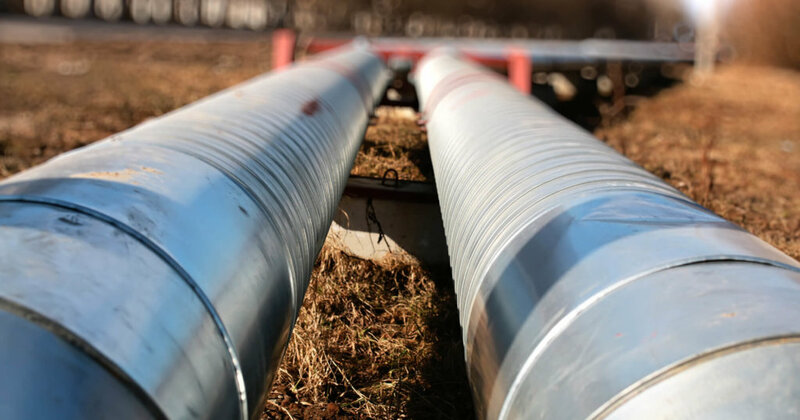 Wind the auger cable into the pipe system until you reach the clog. You’ll know when you’re there because the snake will become more difficult to turn. Keep turning the plumbing snake until you feel the clog break up. The cable will turn freely in the pipe. To make certain there aren’t other clogs, continue to run the auger until the cable runs out or you reach the end of the pipe. With the clog gone, remove the auger from the pipe. Make sure to wash it off before you wind it back up onto the machine. Put the cap back on the drain pipe and tighten it with the wrench. Your pipes should run as good as new. If the auger cable can’t loosen the clog, there’s a good chance your pipes have a more serious problem: roots. Trees and large shrubs can push their roots into sewage pipelines to cause blockages. In some cases, this badly damages your pipes and can require replacement. If roots are your problem, call a professional plumber. They have the tools and the know-how to get your pipes running smoothly. They’ll also spot other issues you won’t easily recognize. Now you know how to clean a sewer line. That said, there are often times when your pipework needs a professional touch. We specialize in residential, commercial and industrial plumbing, so we’ve got you covered no matter what the problem is. But, hey, don’t just take our word for it. Have questions? Call (402) 731-2727 and we’ll clear up all of your plumbing dilemmas.